Actually, the guy in question later back-tracked on the “free-will” idea, and all power to his elbow on that. But every year or so I feel the need to reiterate its irrationality, because it is so common, and every time I do so at BioLogos, the line goes strangely silent apart from heavy breathing: nobody is actually willing to defend it against the charge that it is incoherent. That probably means that it is incoherent, in my book. But it doesn’t stop its supporters being determined freely choosing randomly happening to hold the view. Whether this is old ground, or partly new, I’ll review here how the idea of “chance” has evolved over time, remind us how it is properly seen by science, and how it has surreptitiously now taken on the Epicurean idea of “indeterminacy”. After that I’ll attempt briefly to clarify free will. 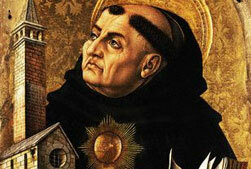 First let’s understand how philosophers like Aquinas saw chance, and why they insisted that it was a reality, but under the control of divine providence. To Thomas, “creation” entails the directing of all things towards the good ends God intends for them. This direction is called “providence”, and chance is included, necessarily, within it. Incidentally it applies in Thomistic thinking even to human choices, in their genuine freedom. Nothing in creation is exempt from directing providence. In the absence of any real concept of mathematical probability, Aquinas’s use of “chance” is pretty colloquial – it concerns things that chance to happen, more or less unexpectedly. His most notable example tells us a lot: he describes a servant meeting a fellow servant in a market “by chance”, unaware that his master has directed the second servant there as well without telling either about the other. Once we understand the idea of all things being directed “towards the good” by God, this example covers every case. For example, two independent natural objects, following their God-given natures, might accidentally collide. A whale might be beached by a storm – or consider (in later scientific terms) an asteroid and the earth colliding as a result of the laws of motion they both obey. Or take the biblical example of the soldier “drawing his bow at a venture” and nailing King Ahab: the soldier is following his physical nature and his nature as a free rational agent in firing his arrow: Ahab likewise is doing so in wandering around a battlefield. The intersection of the two is “chance”, but even apart from the providential justice and divine foreordination of the outcome, the natural causes are determined by God’s creation ordinances regarding the capacities of human beings (and of bows, arrows and body-armour, of course). In other words, to Aquinas chance is, by its very nature, “epistemological randomness”: God’s purposes, at all levels, are worked out through it, but they are unknown to the creatures involved, this ignorance being what makes them “chance”. 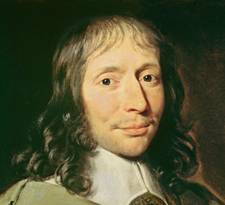 The development of probability theory, considering dice throws and so on mathematically, began around the sixteenth century, but rapidly developed from there via Blaise Pascal and Pierre de Fermat, as we all know, to the study of statistics. The upshot of that was that, in science, individually unpredictable events became mathematically tractable. In effect, if one can find a probability distribution, the extent of ones epistemological uncertainty shrinks. The domain of chance is diminished. You understand a little more, in Thomistic parlance, of the natures God has given to the things involved, and therefore what odds to put on their colliding. But nothing has changed regarding God’s determination of them to those particular ends in the first place. Now, that situation is not even changed in the limiting case of quantum events, where most interpretations of the theory deny that there are efficient material causes for the individual events. But the fact that probability predictions are eminently possible for them confirms that, just like a dice throw, quantum objects are indeed being directed towards their ends, whether that be by the created natures of the objects, or by some kind of supernatural guidance. In either case, they are evidently determined, and their randomness is merely epistemological. Now, it is this scientifically-corrupted concept of chance that the “free process” theistic evolutionists have theologised, in effect applying the idea of the world that was historically the most opposed to theism and science (Epicureanism) to God himself, and making a divine virtue of it in the name of “free-will”. It does not arise from science, nor from theology, but somehow within theistic evolution seems to get a free pass for both. I have, many times, pointed out that this is in reality nothing to do with “freedom” or “autonomy” at all, but with coercion by mere chaos. “Free will” is actually the handmaiden of determinism, for to choose is nothing more or less than to determine. Everything in the universe is determined – simply because, if we are realists, certain things happen and certain things don’t, and that because of specific causes. The issue of “free will” is simply about who does the determining: whether it is only God, the First Cause, through his “laws” and contingent acts, or whether other wills have some powers of determination in tandem with, or perhaps opposed to, God’s power to determine. If it should be that there are some things that happen without a determining will, ie things that are “ontologically random”, then they are opposed to all acts of free-will, not governed by providence, not directed towards any good purposes of God, nor of man, nor of angels, nor of the natural world. They are chaotic causes (though actually uncaused effects) as fundamental as God himself, and not subject to him. Or that is the case if they are not, instead, merely an incoherent concept, for like Dawkins’s “design without a designer”, they are “causeless causes”. Another way to consider this is that all free-will must entail firstly desire, and secondly some capacity to determine events in keeping with that desire. Even in the case of a captive man who, despite his bonds, exercises his free-will mentally, he controls his own physical and mental state through his conscious desires. But randomness can have no desire, and so can it have nothing to do with free-will. And it’s only the pan-psychist who can argue that inanimate molecules, or processes like “evolution”, or a quasi-personal “Nature” can have desires which can be translated into determinations of events – or freedoms which, in some way and for some nebulous reason, God is obliged to respect. Over at BioLogos (again) Bethany Sollereder has done a piece talking about the “choices” that non-human animals make and which contribute to creation. I see no objection to that in principle, for it is only one form of God’s working through secondary causes. But, given the apparent propensity of TEs to wish to see free-will everywhere, it’s important to be sober about the very exceptional capacities and responsibilities of human beings. It’s partly that, theologically, we alone are created in God’s image, and accountable for sin. But it’s also the much more mundane observation that we alone of biological creatures make significant choices that can unequivocally be discussed under the heading “free will”. To what extent such choices are shared by advanced species like elephants, apes or dolphins is disputible. But there really ought to be no dispute that a man has more freedom than a worm – and that capacity has been hard won through billions of years of evolution, speaking scientifically, and by being God’s designated vice-regents on earth, in the theological account. If all the worms in the world were laid end to end they wouldn’t add up to a single free-will, and all the bacteria that have ever existed could not muster one determining choice between them. Free-will is an exceptional privilege – with the sobering corollary that sin is a dreadful aberration. And I hesitate to use the term “co-creators” even of humans, for “It is he that hath made us, and not we ourselves.” We found ourselves in God’s world, and give thanks to him for everything in it: and if that is true for us, it is even more so for the creatures whose thanks consists only of obeying their God-given natures. “Choice” outside the realm of living creatures has no meaning whatsoever – for molecules have no desires, and make no determinations. “Choice” amongst living creatures is still a very limited category of events. The song is OK if you recognise the proverbial metaphor underlying it, that a rolling stone gathers no moss. But if you really suppose that stones, or genes, are free – or worse still, you want to emulate their freedom – then you need to return to Aquinas, and Blaise Pascal, and Wolfgang Pauli for some basic instruction on chance. Very important points, Jon. On the post you are referring to I stated that the apparent “free will” and other signs of human like behavior on the part of many animals, seems to require the presence or input of human beings. I mentioned this might be due to some sort of Imago Dei outreach from humans to animals. She was not convinced. A few years ago I was shocked to hear a Christian theologian of some fame state that Imago Dei is not limited to humanity, should be taken to apply to all creatures, and now this has been further extended in a sense to apply to all of nature. I find this view appalling. All of nature is obedient to the will of God. When we can ascertain what that will is, and we can find that in many cases His will remains constant and universal, we write an equation to describe it, and call it a natural law. In most cases such laws include constants, whose values are empirically determined, but whose origin is not only unknown, but widely agreed to be beyond scientific enquiry. Which is correct. So where did the values of the constants come from? 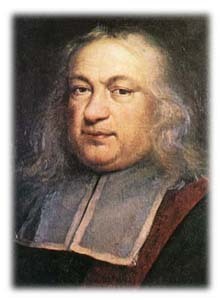 I am not only speaking of the fine tuned constants of cosmology, but all the constants of natural laws of science. What further evidence do we need that what we call natural law is simply the will of God, made manifest to us, because of Imago Dei. Of course, most things we observe, while also the will of God, cannot be analyzed so easily, and may not even be constant. So we have no laws for them. And so we invoke chance or ontological randomness to explain them. Of course, we have already learned that such things do in fact have structure, and probably very complex laws, but we dont know them yet. We may never get there. Because while we are made in the image of God, we are not God. I believe there are laws of biology. (I am working on some of those right now). But, those laws are very fuzzy, full of exceptions and twists. They will look nothing like Newton’s or Maxwell’s equations, not even like Schrodinger’s or Heisenberg or Einstein’s equations, and not even like modern cosmological and particle physics equations. I doubt they will even be in the form of equations. There is after all very little in biology that is precisely equal to anything else in biology. We know that God made an amazing universe of matter and energy. Spectacular. But nothing to compare to the wonders of life. And let’s not forget that Scripture and the Gospels tell us over and over that this enormous majesty of nature, living and non living that surrounds us, in all of its glory, is only the stage for God’s most magnificent achievement, a human being. Not a popular view these days, but one I will never yield on. I was intrigued by your BioLogos point about animals being “upograded” through human influence. In fact I thought of it last night when, on TV, a descendant of the First Officer of Britain’s last airship, the R101, said that at the moment he was killed when that ill-fated craft crashed in 1929, his dog let out a piercing cry. I thought first that it was another example of “telepathy” in dogs like that reaserached by Rupert Sheldrake, and second that given the tragedy of the loss, it’s not the kind ogf whimsical story a family would make up. And then I thought of your point, and realised I’d never heard of a dog that knew when its canine mate was coming home – it always seems to be about the human owner. Just another anomaly to add to your collection! But the attempt to spread the Imago Dei to animals (and even bacteria, it seems from the BL piece) is a pernicious sign of the times. In the end it seems less a blow just against human exceptionalism, but against God himself – God is too loving to impose his will on anything, and instead all the “co-creators” from viruses to man share the glory. Bring back real theology! I’ve just seen this post by Rob Sheldon which seems to be making a similar point about the “mystery of constants” in a different way. ………… may need elaboration. I do not have a thorough understanding of Calvin’s views, but recently I have become aware that other views, such as expressed by Barth, may see things somewhat differently. Can free-will be understood within a Calvin framework? I was deliberately avoiding expressing the matter in terms of Calvinism here, but more in keeping with the broad concept of free-will as the simple human power to choose. Hence I included the “Arminian” caveat that perhaps human will might oppose God’s determining power, though I don’t believe there is such a dichotomy: I believe the Bible teaches that genuinely free human decisions operate within God’s sovereign will. When I read Calvin, it was with the desire to understand how the determining will of God and human freedom could co-exist, rather than seeking to exclude human choice, and I found in his writing pretty fair explanations, with an overriding emphasis on the ultimate sovereignty of God. Over the years I find many interpret him as denying human choice, and there are certainly statements that could be taken that way; to avoid the nebulous idea that God “co-operates” with human decisions, he occasionally speaks in terms of God’s will trumping human choice. So I’ve come to think that some other writers, including Aquinas, might have expressed the matter in a more nuanced way, basically be stepping outside the Humanist conceptual framework Calvin worked within (and which, I think, most Protestant opponents of Calvin still occupy). But knowing that you have read the Eclectic Orthodoxy blog, I wonder if you’ve seen this recent piece, which is a wonderful meditation, it seems to me, on how God’s will and human sin might interact. My feeling is that Calvin would be more likely to say “Amen” to it than “stuff and nonsense”. I worked through some blogs, starting with Eclectic Orthodoxy, that dealt mainly with Barth and universalism, and I came across some comments that I found very interesting. One way to fully understand predestination, imo, is (it seems Barth may have thought along these lines), we see ALL of creation fulfilled in Christ – thus when Christ said, “it is done”, it means that all that had been willed by God from before time, to eternity, was accomplished. Thus, being saved in Christ means that, in that it has been predetermined for all time, and all are given the choice to repent and turn to Christ. I am sure there is much more to discuss, but I felt this approach would make the matter clear. I also agree that Calvin would say “Amen”. I guess the rest goes into the mystery of the faith and that God is the just and true judge. I guess the rest goes into the mystery of the faith and that God is the just and true judge. Now, therein lies the core issue, I think! I’m sure most heresy comes from the determination to get “to the bottom of things” rather than to wonder and rejoice at how truth is always deeper than we can know. Much, much meat to chew here. Where to begin? Hmmm. I’m confused by this. Don’t you believe in evolution? Don’t you believe in God? Doesn’t the combination of those two make you a TE? I know this TE/EC/ID thing has being going on for years before I showed up, but I would humbly suggest that it is unproductive to perpetuate it any longer. It seems to me that any attempt to place evolution within a Christian framework will exhibit the same divide over God’s sovereignty, foreknowledge, and control that have existed within Christendom for centuries. Certainly, you are correct to point out the silliness of speaking of nature (particularly its inanimate aspects) as “free” or having “freedom”. This is simply keeping science within its proper bounds. But as you pointed out in “Monotheism 101,” one’s approach to God’s involvement in evolution begins with one’s concept of God. The Arminian will come up with quite different explanations than the Calvinist. The argument isn’t about the science, but the theology. Specifically, the bone that you are picking is not with TEs, but with Christians who hold less-than-biblical opinions about God, and whose “origins account” reflects their defective views of the Lord, who exhibits his control, authority, and presence throughout all creation. Rather than one long reply, I’ll post my other thoughts separately. Hope that isn’t a bother to anyone. Although it’s wise to speak purely in definitional terms (eg “theistic evolution” = “belief in evolution and in God” simpliciter), it’s also necessary to speak in sociological categories. Otherwise “ID” would be above criticism simply for asserting that the world of life is intentionally designed, whereas its scientific claims, theology and nefarious politics are also, inevitably, brought under discussion. And “Creationism” would simply be belief in creation. My ongoing problems with “theistic evolutionists” is in the latter, sociological, category, as I’ve always pointed out. The advent of BioLogos, and its roots in forums like the ASA, in recent popular writers like Karl Giberson and Francis Collins, and in the specific academic “research programme” of people like Polkinghorne, Barbour, Peacocke et al, has led to a theistic evolution with a distinctly different flavour from that of the original TEs such as Asa Gray and B B Warfield. That’s fairly clearly shown in the fact that the approaches of such pioneers are seldom discussed at BioLogos, nor those of modern US biologists like David Wilcox, though a prominent ASA member and writer on evolution. And the main point at issue is reticence over a clear discussion of creative teleology, and the resulting flirtation with Open Theism, “liberal” understandings of the Bible and regular (and scientifically unnecessary) challenges to historical doctrines. In short “Theistic Evolution” is as liable to theological critique as to scientific, because it’s doing theology. It seems to me that any attempt to place evolution within a Christian framework will exhibit the same divide over God’s sovereignty, foreknowledge, and control that have existed within Christendom for centuries. I contest this ought to follow, but it seems to have happened. The Arminian “Remonstrance” was all about the freedom of human will being (allegedly) threatened by God’s sovereign will. It was never about restricting God’s freedom to create as he wishes, or govern the natural world providentially. That’s clear from reading prominent “middle” Arminians like Wesley and especially Arminius himself. That said, there is a certain logical progression once one absolutises freedom and sidelines concurrence, by which once one starts to chip away at God’s sovereignty, what remains of it begins to appear increasingly despotic, and the fundamental Christian doctrine of God begins to fall. And so I’ve formerly suggested that, in that sense, Open Theism might be a logical progression from Arminianism, and the “Open Process” idea of an autonomous nature a logical progression from that. Understandably, readers with Arminian sympathies have baulked at that: the progression is notnecessary, any more than Fatalism is entailed by Reformed doctrine. But I was interested to discover that way back at the start of the Arminian controversy, John Owen saw Socinianism (very much the ancestor of Open Theism) in the same kind of way as a logical conclusion from Arminianism. But even Socinus did not think that his radical view on free-will had any bearing on nature, though one might need to go there once you accept his premise that God cannot foresee the future. That seems to have come from over-extending the “autonomy” theme underlying Arminianism in combination with a kind of Enlightenment Deism by which Nature runs by laws which even God is bound by (which R J Russell, considering it the dominant position in “academic” theistic evolution calles “semi-deism” – God could control nature, but probably doesn’t do so). Then one must add to the mix Christian accommodation to the Darwinian “design without a designer” account of evolution, which if anything is soundly Deistic. God has better things to do than bother with the details of creation, which can manage on theor own under his laws… but by the same token may wander off course without his either noticing or being concerned. In practice, all these influences work together to create a kind of ambience in which it seems quite normal to see nature as a field in which God has only a general management role, at most. And theologically, I try to point out that such a view is neither in line with the historical faith, nor actually logically coherent. Uh-oh. You went and brought up the Puritans. Now I’m liable to spin off in a thousand directions. I could read Owen’s “The Glory of Christ” over and over. And have. His book on the Holy Spirit is still unsurpassed. Likewise, the greatest philosopher America has produced was Jonathan Edwards, but that is sadly forgotten. In thinking about the will, I went back and read his treatise on the subject, as well as some of your previous posts about it. Good stuff. In conjunction, I also re-read “The End for which God Created the World,” an amazing piece of work. But I’ll have to get to that another time. On the TE/CE/ID thing, I suppose I shouldn’t be so cryptic. I’m encouraging you to see your concerns placed in a larger context, rather than just the tempest in a teapot that is BioLogos v. AIG/ICR v. Discovery Inst. v. ad nauseum. In the larger context, millions of Bible-believing Christians do not accept evolution. (In the U.S., two-thirds of evangelicals do not.) Every day, a great number of them (how many??) come to the intellectual conviction that common descent is a scientifically established fact. Now, they must reconcile their beliefs, so they go looking for information. What do they find? One group, Discovery Inst., is divided on the question of whether evolution even occurred or not, and the other group, BioLogos, is divided on basic questions of philosophy, theology, and interpretation of Scripture. Neither group can present a coherent package because it would upset their “big tent” allies, and that’s why neither group is likely to change. Given the present situation, there is a need for voices such as yours, men who are trying to present a way to think about evolution that does not deny the science and remains faithful to the Scripture. I think you deserve a wider audience than you are seeking. (First, rename your blog. Haha) The problem is, your language doesn’t give that impression to a newcomer. When I first read your blog, for example, and kept reading all the negative comments about TEs, I had the impression that you were an ID advocate who denied evolution. It took me a long time to figure out the reason for all the repeated slams of TEs, and even now I can find it pointless. So, in my (often faulty) opinion, I think you would be better served by taking aim at specific targets, rather than resorting to the TE “term of endearment.” You are at your best, and speak most clearly to newbies seeking information, when you are doing what you say in your last sentence. Well, Jay, you’ve correctly gleaned why The Hump exists. For better or worse, if people go looking for “Evangelical Theistic Evolution” they will get to BioLogos, and either “discover” that you have to tinker with the faith to bring it into line with evolution, or maybe decide that evolution is the Devil’s Work anyway and go back to AiG. We deny that, and support that claim with engagement with the issues in depth. It troubles me that, especially in the US, the very quest can be something of an existential struggle brought on by dissonance between one’s church and one’s discovery of science, so emotions run high and cool thought may come down the agenda. I’m not aiming at a small audience – I just don’t have a budget from Templeton or a book deal. We’ve built an audience of maybe 4.5K hits monthly from nothing, but we’re never going to be the go-to site for theistic evolution, and therefore it’s necessary to critique the mainstream rather than ignore it as irrelevant. I see that as a prophetic ministry. But it goes in cycles – Joshua Swamidass came in when we happened to do a few things on ID and assumed we were a love-child of the Discovery Institute (as maybe did you, since interaction with his ideas has been around the last month or two). But the only BioLogos piece to mention Cosmas Indicopleustes read it here first, and my series on Christological Creation was unrelated to anything from other sites. As for Owen, I must share the experience I had when I lived in Essex, and (for reasons irrelevant here) ended up having lunch with an American PhD student, at Tyndale House in Cambridge. He’d published a book on Owen, so as he was far from home I offered to drive him to Owen’s church in Coggeshall. There we happened to meet the vicar, who was kind enough to show us a pewter offering plate dating from Owen’s time, and my intellectual friend was reduced to murmuring “Wow! Wow!” over and over again all the way home – especially as we happened to drive past C H Spurgeon’s birthplace on the way. I actually read a good part of Owen’s book on the Holy Spirit in its first edition in a library in Chelmsford Cathedral, for which I had a key. I have to resort to a modern edition from my shelves nowadays. The true “larger context” is going to come down to a struggle to maintain a biblical view of God, a view that is based on Scripture, not philosophy, and certainly not philosophy as dictated by so-called scientific necessity. Now, to unpack that last sentence. Haha. Let’s return to my hypothetical Christian in crisis over evolution. Most people approach this as if the person faces a choice solely between atheistic evolution and theistic evolution. I contend that is not true. The first choice my Christian in crisis must face is not between atheism and faith, but between competing Christian understandings of evolution. It is only when he finds the Christian answers unsatisfying that atheism becomes a serious option, and the Christian answers that are most unsatisfying, in my view, are those that present a God who is less than who he is. Thus, the battle is not with TEs in general, but is specifically with those who would “belittle” God. You hit the nail on the head in your paragraph above. What began as philosophical wrangling with the concept of free will led to similar struggles over God’s foreknowledge, his control over events, his relationship to time, etc. Many so-called Christian understandings of evolution are based more on philosophical reasoning than on anything resembling a biblical concept of God. Replying to myself, how sad is that? Amen – You are, indeed, a true Humpist. Evolution is just science, even when you get it absolutely right. But eternal life is to know the only true God, and Jesus Christ, whom he has sent. 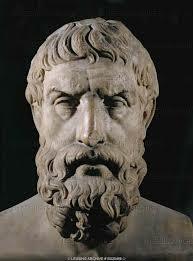 In some cases, though, I’d say even the philosophical reasoning is deficient.